IMPORTANT: This download includes both the PC and Android APK version. In order to play the Android version, you must unzip the downloaded file into your device. 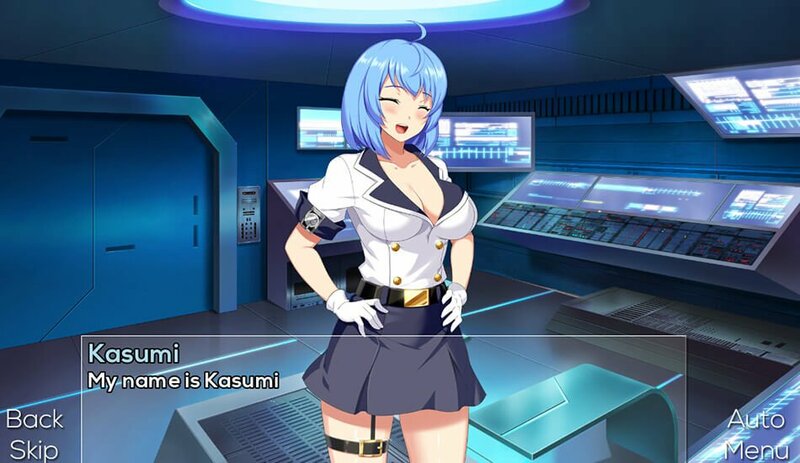 Kasumi: Our sidekick and main partner throughout this adventure, Kasumi is as beautiful as she's smart. Owner of the C.R.S. ship and the Transparent Clover. Although a little shy and short-tempered at times (kinda tsundere, yeah), she doesn't hesitate to take the lead and use all kind of smart devices to take down the dark plans of The Corporation. Akane: Fierce and energetic, Akane is a very loyal and kind-hearted girl. Leader of her own resistance group and owner of the Blue Clover. Although she had to fight for survival from a very young age, she's always willing to risk everything just to see her people smile. Shizuka: The young and only heir of a very important and powerful company runned by her father. Shizuka started to notice some strange behaviors on her family when The Corporation approached to work with them. Owner of the Red Clover. Despite of being only 20 years old, she’s ready to show the world that she’s not a little girl anymore, and she's capable of not only saving her family’s company, but the world by using her powerful attitude.